Posted February 18, 2011 by Senator Fidelma Healy Eames in News. I am 100% committed to a new second level school for Claregalway. Fine Gael will lead the next Government. 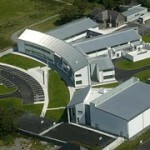 Only a strong Fine Gael TD will be in a position to deliver this school for you. Neither an independent TD nor an opposition party will have the same influence. I am very aware of the need for the school and the great work that the local committee has done to advance the case so far. I am in regular contact with Paddy Tobin and the committee. You may know that it was I, at the Oireachtas Education Committee, who proposed that the new Claregalway second level school be sanctioned by the Minister for Education. My proposal was supported and sent to the Minister. This played a significant role in the recent granting of sanction for the new school. Be assured that if elected on February 25th, I will put my full weight behind your new second level school in Claregalway to ensure it comes to fruition. Since I got elected to Seanad Éireann, I have been the public representative most to the forefront who has fought and won school places for children across the Oranmore electoral area and in Galway city. This is what I do. I know how badly this school is needed in Claregalway. It is a very exciting project and it will provide a locally based school for local children in the Claregalway Carnmore area. It will solve the race for school places east of Galway city. In Government I will work relentlessly to achieve this. I ask you for your No.1 Vote for Fine Gael and Fidelma Healy Eames on Election day. If you need to discuss further, please cal me on 091-768466 or 087-6776937.